Next up on my catch up posts is my new Victorian corset. 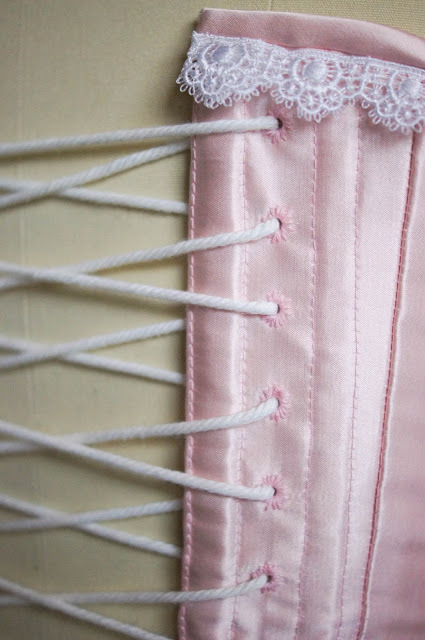 After wearing my old Victorian corset (which I made at the beginning of this year) a few times this year I was ready to make a new one that fit better. I really only used the pattern for the pieces; I didn't follow the instructions at all and made up the boning pattern myself. 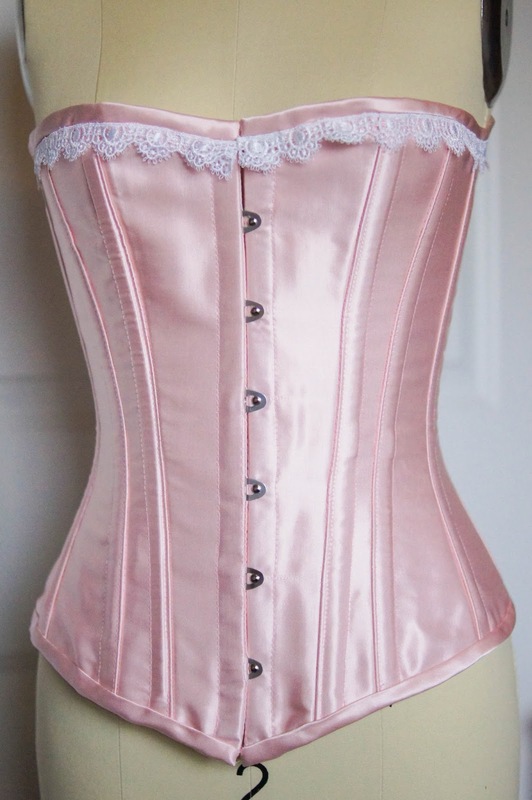 I've learned enough from my previous corsets that I didn't feel I really needed the instructions. I can't really rate the pattern because of this, but overall I feel like it's a good pattern. 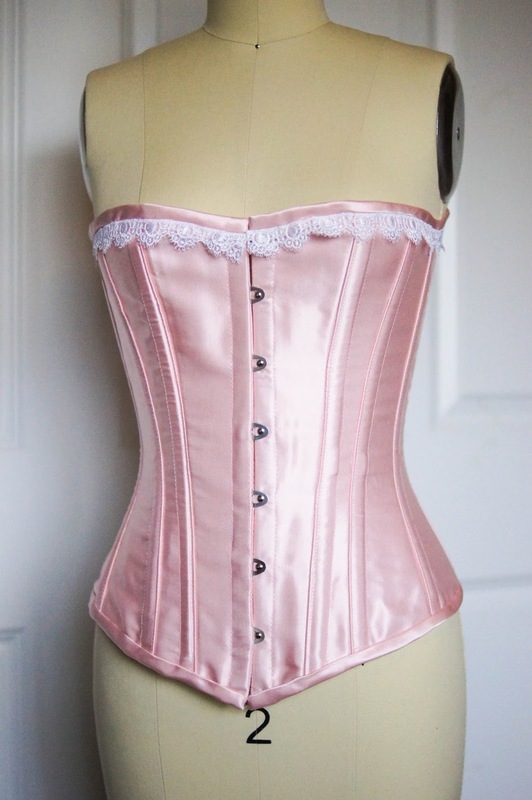 I ended up cutting the final fabric one size smaller than I originally had in the mock up and I get a 3" waist reduction when I lace it tight and have a perfect 2" gap! 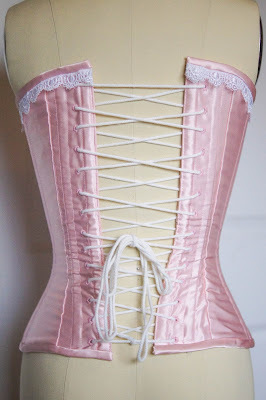 Even though the corset is technically done I still want to floss the bones, I just haven't gotten around to it yet. It's on my list but will probably remain there for a long time.